November is National Health Blog Post Month with WeGo Health and the goal is to post every day of November! It is not too late to join in the fun! When I started blogging back in 2007, I had no idea about the awesomeness of the health community that existed out there. I was lucky enough to have found an online support group for young women with endometriosis shortly after being diagnosed but I didn’t know what existed beyond message boards. I was a part of an infertility group on a message board and several of the ladies talked about blogging and I merely started this page as a place where I could put my thoughts on paper (so to speak) and swap treatment sagas with my fellow infertiles. As time passed, A New Kind of Normal began to grow little by little and through the magic of the interwebs, I began to discover the health communities that existed beyond the borders of my little corner of cyberspace. I began to discover eye-opening posts, blogs and websites, like The Spoon Theory, and I realized that I was not alone in the world. I realized that other people where just as annoyed by the phrase “but you don’t look sick” as I was. Many relationships were built one comment at a time as I stumbled across their blog or they stumbled across mine. 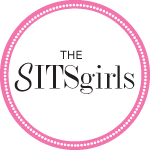 I happened to see a SITS badge on a blog I stumbled across and found out just how cool bloggers really are and how I could expand my blog and deepen my love of writing. Bloggy Bootcamp provided education and motivation to take a chance on this page and get over the weird looks I sometimes get when I tell them I am a blogger. I found a group of women across the country (and globe) who became cherished friends and confidants who seek to make the world a better place one blog post at a time. So when I am asked what my favorite thing about social media and online health communities, the answer is just that – community. I have been able to find encouragement and support when the road gets rough. I have people to lean on that when they say “I understand,” I know they really do. I have somewhere to turn to get advice and information on new treatment options and procedures. Google can be a wonderful asset but the personal experience offered by a community beats it any day of the week. Chronic illness is a booger period but I am so thankful to have to face chronic illness now when I have the opportunity to be a part of an online health community versus years ago when it was not an option. Thank you God for blessing me with such a wonderful community to be a part of! What is your favorite thing about social media and online health communities?